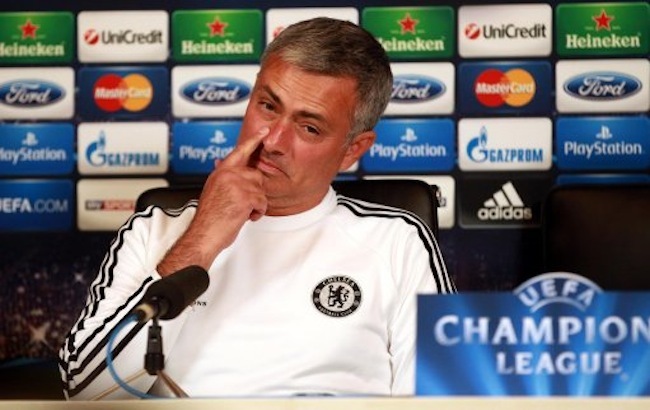 Is Chelsea manager Jose Mourinho hiding behind his grasp of English? In the FA’s written reasons for giving Mourinho a one-match stadium ban, suspended for 12 months, and a fine of £50,000 after he suggested that referees are “afraid to give decisions to Chelsea”, it rejected any notion that the language barrier posed a mitigating circumstance. It was, we firmly believe, the great Paul Merson who coined the term “a torrid” to connote the match-long suffering of a defender (normally a left or right back) at the hands of vividly in-form opponent (normally a winger or “pushed-on” midfielder) — in other words, “a torrid time”, but the adjective becomes a noun and the “time” is silent, hence “he’s given him an absolute torrid”. It was also Merson, incidentally, who came up with the term “a worldy”, meaning “a world-class save”, and, as we have had cause to note before, that’s two more additions to the dictionary than any Poet Laureate in living memory has managed. If you want proof that the English language is vitally and compellingly alive, look no further than the former Arsenal winger’s desk on any Gillette Soccer Saturday. Of course what Mourinho should have done is gone to ground, beaten the turf with an open palm (having previously run it over his scalp and checked for blood) and called for medical help.